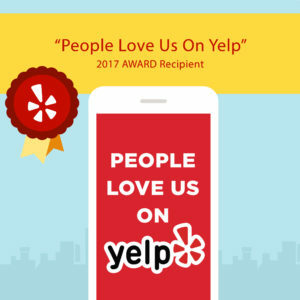 Exciting news: We were awarded the People Love Us on Yelp award! We love our customers and are extremely grateful for all of the likes and wonderful reviews. A huge thank you to everyone that helped make this possible!